It has been nearly three years since Lance Cpl. Kyle Carpenter’s life changed in a white-hot grenade blast. Posting security on a rooftop with another Marine in Afghanistan, his body was mangled in ways that are difficult to fathom: He sustained catastrophic injuries to his right arm, neck and face, including a jaw that was nearly blown off. Carpenter has undergone more than 30 surgeries since, sharing his story along the way to bring attention to the dangers U.S. forces face. He refused to give up, giving thanks for his survival while pushing through thousands of hours of physical therapy. He set goals for himself along the way, even returning to knocking out pullups last year despite sustaining more than 30 fractures in his right arm in the grenade blast. His story clearly resonated: This long-form story I wrote about him for Marine Corps Times in January 2012 was shared online thousands of times, and this video of Carpenter discussing his injuries went viral online after being shared on the website Reddit. A Facebook page devoted to Carpenter’s recovery, “Operation Kyle,” has nearly 8,200 “likes” as of today. His face has become one of the most recognizable of the war in Afghanistan. On Tuesday, Carpenter will step into medical retirement. Now a corporal, the infantryman will bring together some of his closest supporters in a small event at the National Naval Medical Center in Bethesda, Md. He starts classes at the University of South Carolina later in August, and plans to pursue a degree in physical education. His dream, he said, is to someday open his own gym. “I will say that I don’t think it’s really hit me yet, but I am excited to move on to start another successful chapter in my life,” Carpenter said Monday of his retirement. Carpenter, who turns 24 in October, also has taken on a series of physical challenges since the blast, including sky-diving. 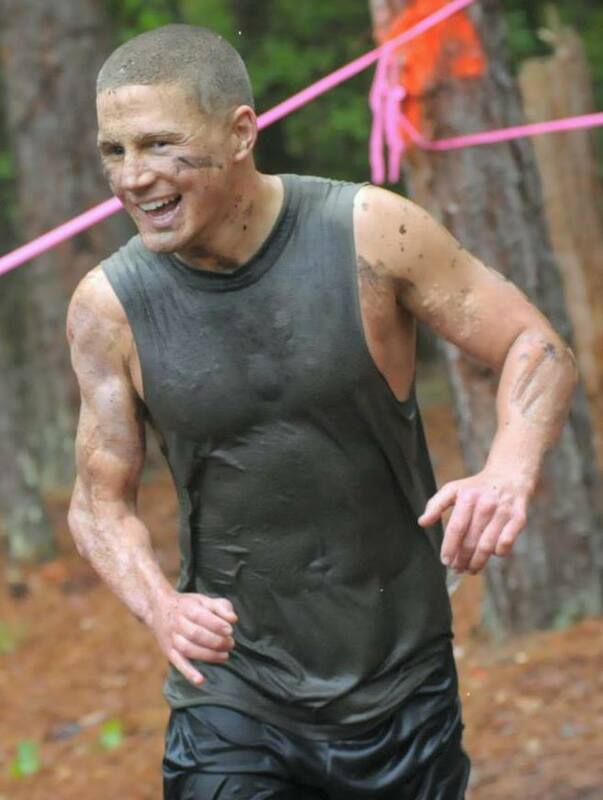 In April, he competed in the USMC Ultimate Challenge Mud Run, a 6.2-mile obstacle course event in South Carolina that was designed by a drill instructor. As Marine Corps Times reported last year, Carpenter’s fellow Marines say he threw himself on the grenade to protect his fellow Marine, Lance Cpl. Nick Eufrazio. The Corps was investigating whether he deserved the Medal of Honor or some other prestigious award, but no announcements on the case have been made. Carpenter said Monday he can’t comment on the issue. Eufrazio has faced a tough road following the grenade blast, as well. Shrapnel lodged in his brain, causing brain damage, his father Mark told Marine Corps Times last year. Carpenter said he never doubted himself, but acknowledged it would have been a stretch to believe he would have been able to come so far two years ago, when he was laying in a hospital bed. He said he is thankful to anyone who has followed his story and rooted for him along the way. God Bless you and Thank you for your service! You are loved and appreciated here in Ninety Six, SC. I’ve know Kyle since he was 7 years old and I am not surprised by his tenacity in the face of dire adversity! He has always had a positive, uplifting attitude that is contagious to those surrounding him! I am so proud of all that he has accomplished and will continue to watch and wait….. Because knowing Kyle, there is not telling what will come next!! Best wishes and much love, Kyle!!! Truly!!!! Driving to work this morning, a beautiful bald eagle flew about 30 feet over my truck. We usually don’t see them this time of year in the Columbia River Gorge, but none the less there he flew. I immediately thought of Kyle and his retirement ceremony, this am. I thought what a truly exquisite symbol of strength, courage and valor, that Kyle has shown us somehow related by this magnificent bird that flew over my head. FREEDOM… This is what Kyle went to fight for, sacrificed for and now will continue in his life to stand for. God bless a true hero, Kyle Carpenter, congratulations! Kyle,thank you for what you did not only for the soldier you protected but for all of us. You are a true hero. God bless you with strength and determination to continue on your road of success.